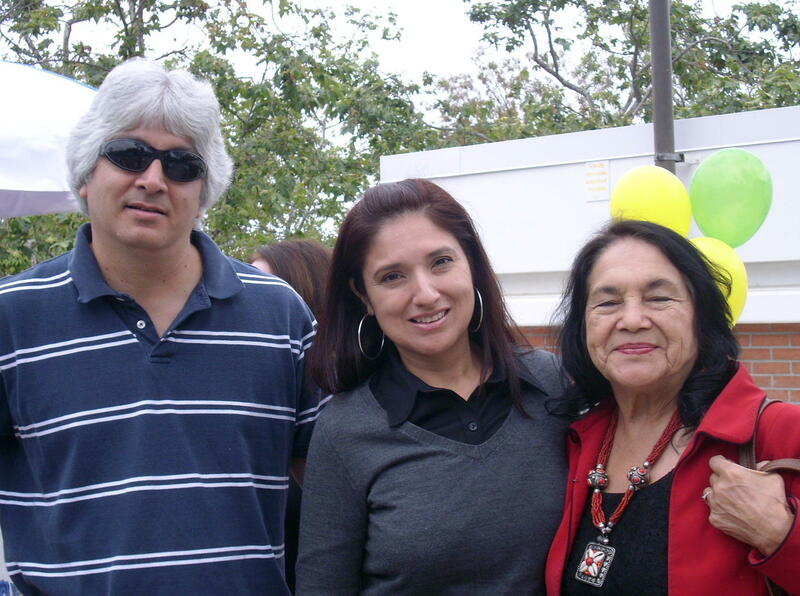 It was an honor to meet Dolores Huerta at CSULB where I have been a student since 2007 majoring in Indigenous California Studies. I made sure to bring my camera and managed to get this picture with my California History professor Marisol Moreno and Ms. Huerta at the Dolores Huerta Day event in which we celebrated her 77th birthday with her. I enjoyed hearing her speak with a feisty authority on current issues of concern to the Latino community. I could not help but wonder what it must have been like to see her in action with Cesar Chavez back in the day. I got an interesting email one day in 2007 from a gentleman named Ben Hall enquiring about Los Pobladores 200 and how he could become a member. He mentioned that he too was a ninth generation descendant to Luis Quintero. I always get excited to receive such correspondences, but I had never gotten one from someone related to Quintero in the exact number of generations from him as me. Also interesting was the name Rickenbacker in his email address. Coincidently, I had been entertaining the idea of getting another Rickenbacker bass and possibly get back into playing music. So I replied to Mr. Hall with the information he requested and asked him if perhaps he worked for the company. As it turned out, he told me his family owns the company and explained how his grandfather acquired the business in 1954 from Adolf Rickenbacker. 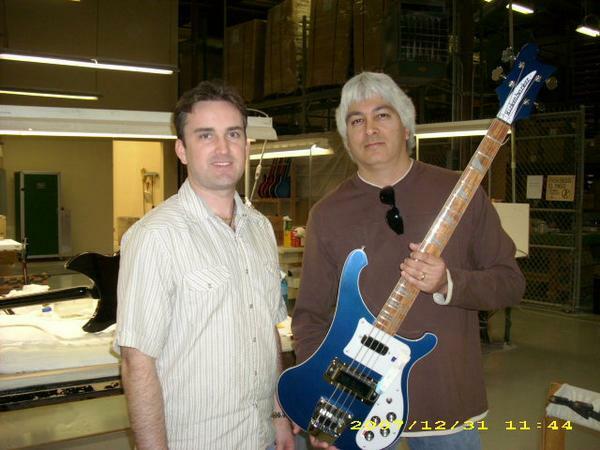 I could not believe it -- I am a distant relative to the family that manufactures the coolest bass guitar in the world! Ben gave me a tour of the factory the very next week. I once owned an azure blue 4001 model similar to the 4003 I'm holding in the picture.